Heliopolis, known in ancient Egypt as the City of the Sun, but now a Cairo suburb, provides the vivid setting for Maio’s debut, a romantic thriller set during the early years of WWII. Gen. Erwin Rommel’s forces threaten Egypt from without, while the growing Muslim Brotherhood threatens the strife-torn country from within. A vacillating young King Farouk and a domineering British presence combine to govern uneasily. Into this roiling mix come American freelance reporter Mickey Connolly and Jewish refugee Maya Levi, who continually cross paths. American ambassador Alexander Kirk and spymaster Bill “Wild Bill” Donovan recruit Connolly to help them locate German refugee physicist Erik Blumenthal, who may be trying to get to Palestine. German spy Heinrich Kesner also seeks Blumenthal. The many historical figures lend authenticity, but it is Connolly and Levi’s romantic entanglement that drives this satisfying exploration of a key time in western and Middle Eastern relations. ….City of the Sun is a strong historical thriller that uses real persona and events to anchor a powerful storyline. Readers will feel they are in 1941 Cairo as Juliana Maio provides her audience with a taste of a divided, frightened, yet angry city expecting war. The romantic subplot adds hope and passion in the midst of strife. However, readers will relish the profound look at the early days of the Middle East dispute (interwoven into a superb drama) that still haunts the region and world decades after the end of WWII. Juliana Maio joins the ranks of writers Andre Aciman and Lucette Lagnado, who were born in Egypt and the expelled along with their families during the Suez Crisis of 1956. 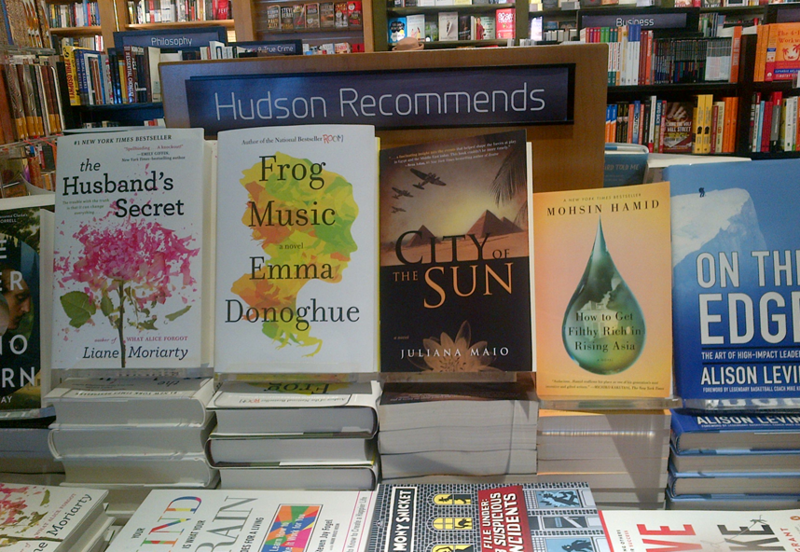 As a fan of good historical fiction, I was quite excited to have a chance to read, and then early review for Library Thing, the book City of the Sun, author Juliana Maio’s debut novel. Maio didn’t disappoint. There certainly was the flavor of the movie Casablanca that was promised, but there was also wonderful insight and knowledge about Egypt during World War II. Prior to the war, Egypt had 80,000 Jews living in harmony with the Egyptian Arabs. Jews were an important part of the community, and the various groups worked and lived well together. This novel gives some insight into the way that harmony began to erode, all while telling a wonderful story that will no doubt become a Hollywood movie sometime soon. I had fun wondering which actors would fit well with each of the vividly depicted characters of the book. I strongly recommend this novel, and am looking forward to Maio’s next efforts.